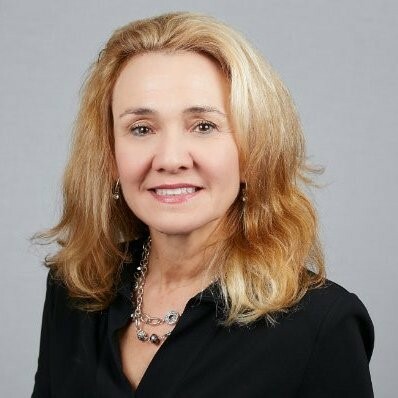 Susan Carman is no stranger to the fast-paced change of the healthcare IT world. United Health Services, where Carman is currently CIO, is in the process of overhauling their IT strategic plan, including a potential replacement of their best of breed EMR/EHR for an enterprise solution. Since the current inpatient EMR was only implemented 3 years ago, Carman is faced with the tough decision of yet another system replacement, both from a fiscal and employee fatigue point-of-view. She discusses the implications behind their review of the enterprise; why being best of breed and having a data warehouse doesn’t always jive; and her key takeaways from CHIME. She also provides sage advice to those startups and digital health organizations trying to get their solutions in front of healthcare IT decision makers. When I first came in about a year ago, there was no true inventory of applications. We used a number of avenues to figure out exactly how many we actually had. We’re a best of breed shop, the kind you don’t see much of any more. It’s causing us a lot of issues because we have about 200 interfaces running information back and forth. It’s very resource intensive and expensive to run. We’re trying to figure out if we can connect directly to our data warehouse as opposed to connecting to the source systems directly. That’s a big question mark for us right now. With this information the IT governance team decided that the best approach was to develop a 3 to 5-year Strategic Plan. The most important component of that plan was to decide on a future EMR roadmap. Our biggest challenge is meeting our integration goals but doing it in a fiscally responsible manner. Sitting around the table with other CIOs—gathering the information about where they’re at with their application portfolio, best practices, and things of that sort—was immensely helpful to me. I think it’s mutually beneficial because clearly the vendors are doing this to get some information for their business. Campbell: Can you give me a little background about you and your organization? Carman: We have about 380 physicians, 4 hospitals – 2 of which have over 200 beds – 2 smaller hospitals, and 62 clinics. One of the biggest things we’re working on is our IT strategic plan, so a lot of the questions I’ll be answering today will, unfortunately, be changing over the next year or two. Campbell: No problem, that’s to be expected. Along the lines of the strategic plan, how many applications does the organization have within the portfolio and how do you manage those today? Do you have an enterprise portfolio management system or is it managed by spreadsheet? Carman: That’s a great question and going back to talking about being in a state of transition, this is something we’re working on, and spending a lot of time on right now. We have approximately 175 applications that we run. When I first came in about a year ago, there was no true inventory of those applications. We used a number of avenues to figure out exactly how many we actually had. It was sort of an unknown, but I certainly knew there was quite a few of them. We’re a best of breed shop, the kind you don’t see much of any more. It’s causing us a lot of issues because we have about 200 interfaces running information back and forth. It’s very resource intensive and expensive to run. The application portfolio is basically being kept on a spreadsheet. Another initiative we’re going to be starting next year is we’re purchasing an ITSM system. A lot of our application portfolio should be kept in that system once it’s implemented rather than keeping it on a spreadsheet. We’re bringing in a consulting company for the first half of next year to help us work on adopting ITIL best practices. The implementation of the ITSM system will be about midway 2017. We’re hoping for some great things as far as doing a better job of keeping track of our applications, providing better customer service, and improved change management. The last step will be application rationalization to sunset and retire anything that we no longer need. Campbell: Very good, and speaking of application rationalization, do you leverage an archival solution today? Do you have a data warehouse that it’s shipped off to? Or are you simply taking a copy of the database and storing it on your servers? Could you elaborate on that topic? Carman: The business intelligence and analytics software is overseen by the CMIO at UHS. It is not part of the Information Services department. Our CMIO is not only a practicing cardiologist, he is an expert in the development of applications and business intelligence. A lot of what we have at UHS is homegrown. We have a separate Business Intelligence department. We utilize a lot of students from Binghamton University that are working toward their Master’s degree or PhD and need a real life project. We do have a data warehouse. We are striving to get to a point where our data warehouse is our one true source of information. We are currently working on our data accuracy via a new data governance model. Campbell: Right, a lot of organizations are dealing with that, those point solutions, especially if you’re best of breed. How do you integrate that ETL process with the data warehouse? Carman: We just purchased Watson Health as a population health solution, and we’re going to be implementing that next year as well. We’re trying to figure out if we can connect directly to our data warehouse as opposed to connecting to the source systems directly. That’s a big question mark for us right now. This would require ensuring all the data is accurate before it gets into the data warehouse and that all of the data is being sent and in a timely fashion. We don’t have all the data normalized and some things don’t go to the data warehouse at all for various reasons. Sometimes it’s limitations of the applications, but there’s a variety of reasons why not everything is going there right now. We would like to avoid connecting to every source database but we will likely have no other choice. Campbell: I can appreciate that. You want that data warehouse to serve as the hub, but oftentimes there may be data that’s missing in the ETL process from the source system. I know you spoke of potential replacement of the EMR/EHR. How long has the organization been on the current EMR on the inpatient side and the EMR on the outpatient side? Carman: We’ve been on NextGen for 12 years and it has outlived its usefulness. It is no longer supporting our physicians in an efficient manner. It’s come to a point where the writing is on the wall with NextGen. We need an ambulatory information system that is more adaptable to the differences in our specialty practices. As far as the inpatient side, it’s only been 3 years since Soarian was implemented. Now of course we got the bad news that Cerner is only going to support the Soarian Clinicals for 5 more years and we’re 2 years into that. When I first came on-board, one of the things I was charged with was to survey the ambulatory information system and gather information from the physicians as to whether they wanted to enhance the current system or replace it. Overwhelmingly they wanted to replace the current system. Since we had just gotten word from Cerner that Soarian Clinicals would only be supported for a maximum of 5 more years, it made sense to review our entire enterprise. With this information the IT governance team decided that the best approach was to develop a 3 to 5 year Strategic Plan. The most important component of that plan was to decide on a future EMR roadmap. Our biggest challenge is meeting our integration goals but doing it in a fiscally responsible manner. Carman: Our Senior Leadership team mostly agreed that we need a fully integrated solution. Our first step in that process is an EMR Financial Feasibility study. We need to see exactly what we are up against when it comes to total cost of ownership. Campbell: Shifting gears to CHIME, tell me about your experience. What did you look get out of it? What were some of the things you appreciate about the event? Carman: I loved it. I can say overall, I thought it was fantastic. I got more out of the focus groups than anything else. Sitting around the table with other CIOs—gathering the information about where they’re at with their application portfolio, best practices, and things of that sort—was immensely helpful to me. I think it’s mutually beneficial because clearly the vendors are doing this to get some information for their business. Out of the entire week, that was where I felt I got the most information. I certainly had a lot of questions about converting to an enterprise wide solution from best of breed, I spoke to a lot of different people about their situation. I even spoke to the #3 person at Cerner about customers who have transitioned from Soarian to Cerner. I left there with a good feeling that we were performing the correct analysis. It was a great validation for me, and a very worthwhile trip. Campbell: That’s excellent to hear. Aside from the networking aspect, like you said, you’re able to test hypotheses and synthesize strategies. Perhaps you could offer some insight to our audience at Health IT & mHealth, which is primarily focused on startups and digital health companies – a market that is overwhelmed by patient engagement solutions. For your organization that’s traditionally been best of breed, and maybe looking to an enterprise wide solution, tell me a little bit about how you would ever consider a digital health startup solution? What would be your criteria for evaluating that? Carman: Target what the bigger companies don’t have or don’t do well. I think what you’re going to see is, if you’ve got a Cerner or an Epic Enterprise solution and they’re selling that same product, you’re not going to win because CIOs will gravitate toward their core vendor. They want to just go to one person; they don’t want to have numerous vendors that they have to deal with on a daily basis because it takes up so much time for a CIO. If there’s some sort of niche that you can find, where the vendor has either done a lousy job of providing the solution or they don’t do it at all – and certainly Epic has several things that they don’t do – concentrate on those areas. When you’re coming to the table you can say ‘look, you don’t have this currently, you’re not able to get it from your core vendor, and we have a great solution.’ I think that’s how you get CIOs to listen to you. Another piece of advice I would give is always come to the table with how you’re going to make that CIOs life easier. First and foremost, what are you going to do to solve the problem that organization is experiencing? Investigate who is in need of the solution before you go and invest your time. Make sure to target your audience in that way. I get dozens and dozens of emails a day about things that aren’t relevant to me. I think, ‘goodness these people are wasting a lot of time, I’m not responding and so on and so forth’. I think a lot of the smaller vendors need to do a better job of targeting their audience. Every now and then I get an email and I say ‘hey you know what I am going to respond. I don’t normally respond, but this person really got my attention, it’s something I need, they clearly understood my business here and what we do.’ It wasn’t a generic email. Campbell: That’s a great point and great advice for anyone in the space. Any other closing thoughts you wanted to offer around the CHIME event or any organizational newsworthy items?